The abuse and exploitation of vulnerable adults is real. Make sure you have your parents and grandparents legal work taken care of before this happens to you. We need to fix this system it is greatly wrong, from probate, to the organizations who are supposed to protect these vulnerable adults. John Robertson, who lived at 220 Lincoln St., is a longtime resident of Perry. He worked at Diamond Reo in the early 60’s until the later 70’s, then he worked for the Perry Public School District. He was also a volunteer firemen for many years. John is well known and loved by many in Perry. He would do anything for you if you just asked and sometimes if you did not. John has run into some tough times at the moment. He now resides at Medilodge of Okemos at 5211 Marsh Road Okemos, Mi 48864. This is a assisted living home. He has been there since Sept. of 2016 due to his health. He would love visitors. I will include a bit of the story about what has happened to my father. I am his son, Paul Robertson. This is a situation about vulnerable adult abuse and exploitation, and the system that allows for it to happen. In 2014, my father, John Robertson, was diagnosed with Dementia and Alzheimer’s. He was appointed a guardian by the court through a private agency. The court nor the other agency took the time to find relatives or find out about my father’s properties or assets. The property taxes were not paid on a vacation property near Houghton Lake, so this property was lost in a tax auction in 2015. Also, in 2015 the court granted guardianship to a person my father did not like. He was acquainted with my father’s now deceased second wife. It has come to pass that some how the guardian was able to take my father’s pension and social security from his bank. I was told by the court that all he had control over was medical decisions and where my father lived. From what I’ve learned from neighbors, his home was in disrepair. Every room leaked water and each had pails to catch the water. Also mold was all over the house, and the cooking stove was not working properly. I was told by friends and neighbors that he was left to fend for himself, even though he had dementia and Alzheimer;s. My father’s hard earned money was not put back into the property, nor were the taxes or utilities paid. The guardian did the least possible to ensure my father had a good living habitat. Another unnamed government agency was involved as they were called into action 7 times and neglected to find any wrong doing about the funds and the living conditions so they did nothing. In 2016, my father fell greatly ill and they found him in his front yard where he had been all night. He was very malnourished with severe flu symptoms, open leg sores, and filled with sepsis. He almost died. 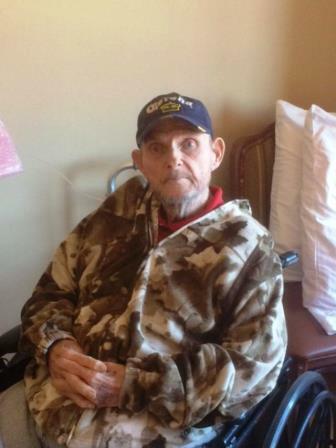 The hospital was ready to put him into Hospice, but the guardian wanted to bring him back home so that he did not have to pay an assisted living center. They finally put him in one and he has recovered fairly well, but the guardian continues to take money from my father and he has not paid the assisted living home in 3 months. After learning of all this, I filed a petition with the court and had his guardianship revoked, but the same Judge did not give me guardianship, he gave it back to the first organization involved in this case. The judge apparantly didn’t like the letter that I had attached to the petition in which I outlined the Social Welfare Act, MCL 400.11b which was not followed by any of the agencies mentioned. So this is how the vicious cycle continues. I want to start this organization, called Fix the System, so that others do not have to go through what my father has. This is a very fast growing crime in the United States. Please think about this and give anything you want toward this cause. You are welcome to contact me for more info. The system needs to be fixed please help the vulnerable adults.